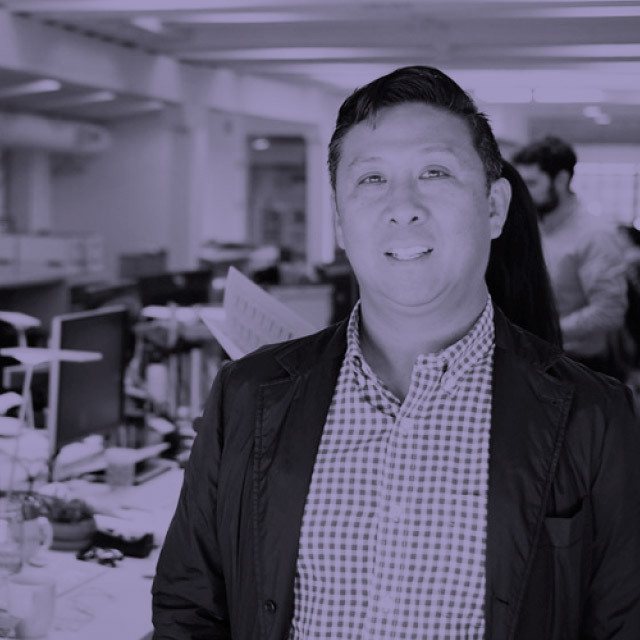 The world of Bay Area tech is changing the way we live and as those engineers and entrepreneurs code and pitch their businesses into our lives, Primo Orpilla, and his company O+A, has been quietly changing the way those engineers and entrepreneurs work and spend their days. With co-founder and business partner, Verda Alexander, they have built O+A to not only become the defining commercial interior architectural practice for Silicon Valley and the tech world but also create a philosophy and design practice that is being studied around the globe as a new way of creating space for work and life. When visiting Primo in his San Francisco offices, not only does he find time in his busy schedule to meet for our interview but he’s the most relaxed and cogent person we’ve met in a long time. Maybe his humble roots give him his down to earthiness. Born in the Sunset district of San Francisco and raised in the East Bay, there is a sense that Primo yearned for a richer cultural and creative exchange. Thumbing through European magazines at Tower Records was the start of a lifetime’s journey into design, style and culture. The world around Primo has changed. 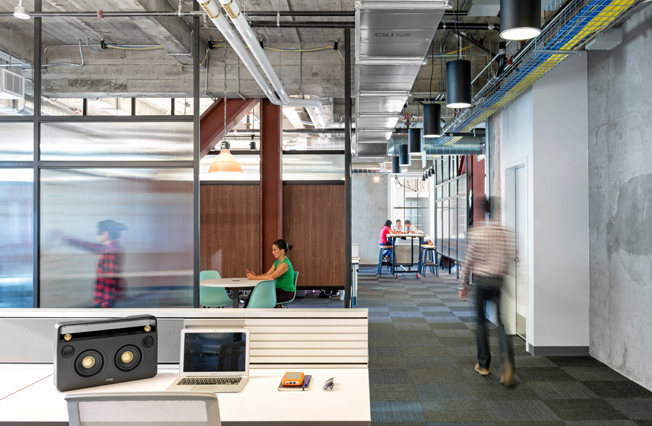 Back in ’91 when O+A started coming off the back of a recession, it was the fledgling days of the tech world and some simple second hand office cubicles would do. Now with custom mill work, commissaries and dedicated music rooms, the world of work has changed significantly and Primo Orpilla has done more than his fair share in influencing those changes. 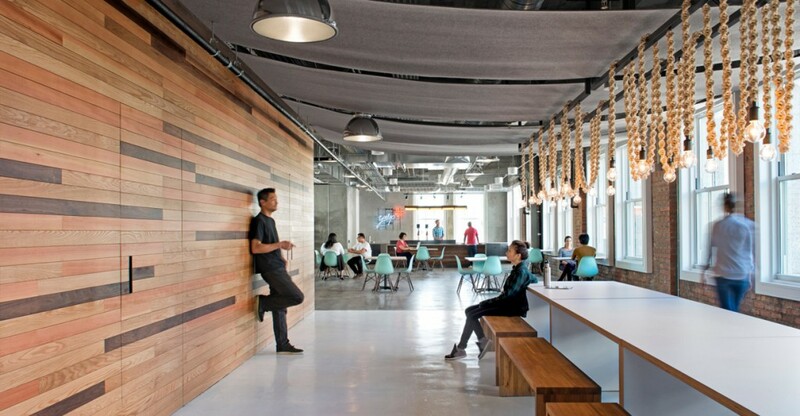 Facebook, AOL, Samsung, TATA, Levi Strauss, Cisco, Uber, Yelp, OpenTable, Microsoft and Evernote are some or the roll call that O+A have as clients. 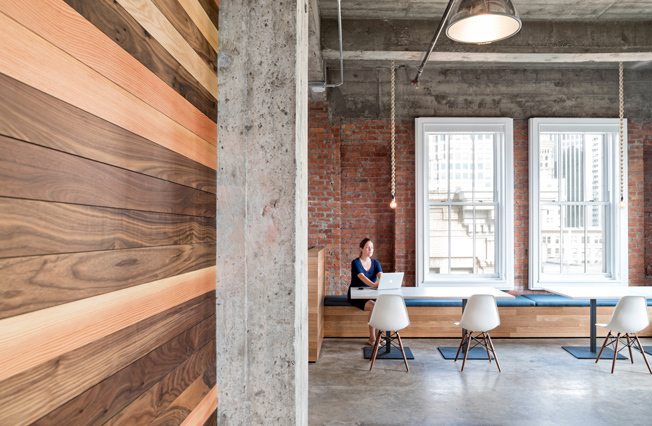 We sat down with Primo in his SOMA offices on a sunny, busy day in San Francisco. What initially attracted you to this project and inspired you to do it? 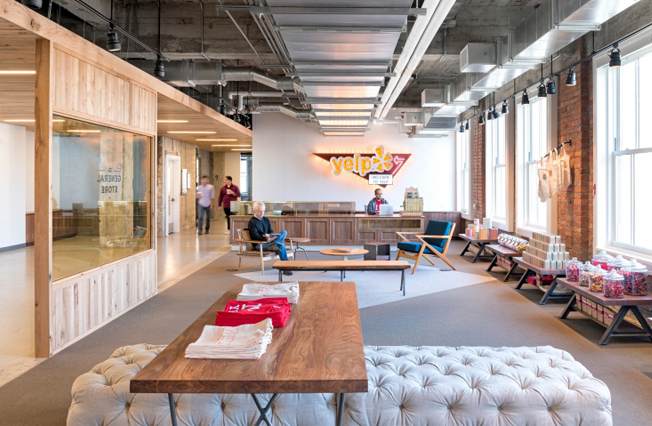 Yelp really symbolizes, to me, a company culture that is in tune with the look and feel of their space. Its brand and product are very accessible, built by a community. 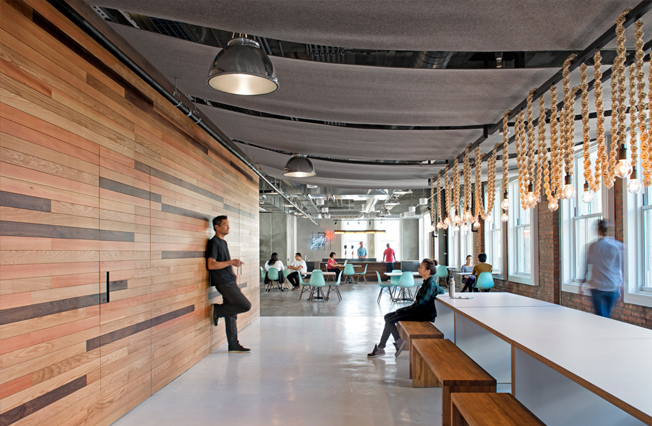 We’ve actually worked on two different buildings for Yelp. Initially, when we very first started working with them, all we were given was the Yelp logo. We had to build the story from that. 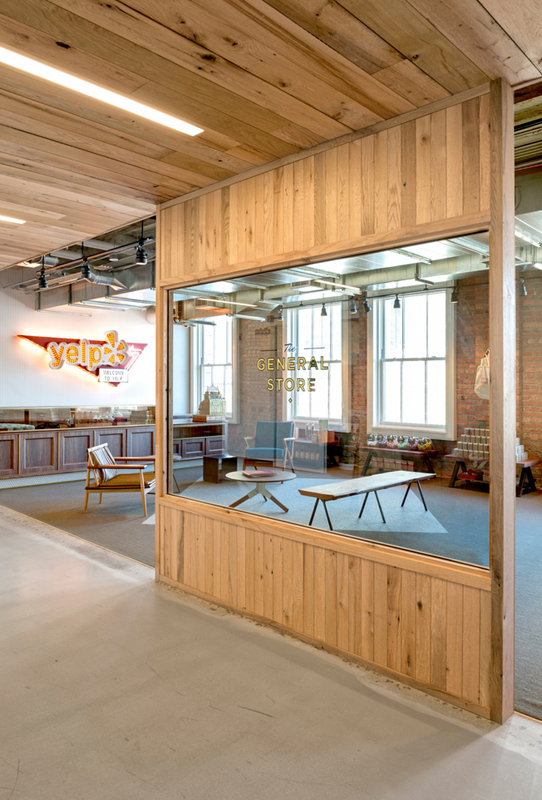 The new space is really about the Yelp community which is the backbone of the company, bringing a physical space to the virtual. 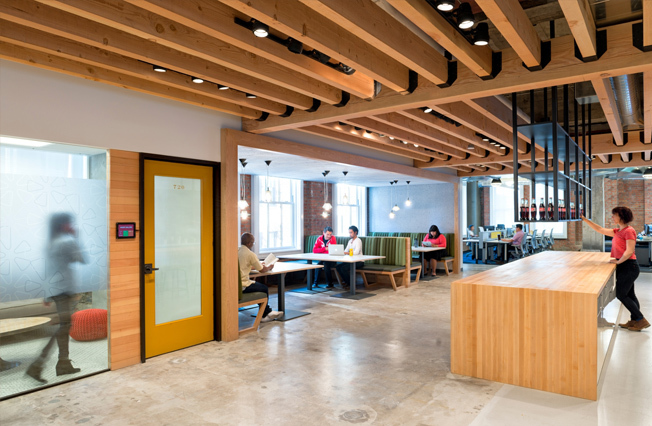 Each floor is very open plan and we have our own philosophy on space planning, a set of topologies that we apply, so each open plan space has a supported cast of spaces to support the different types of work you may need to access across the day. If you go to the top floor, you’ll find what we call the general store. It’s an area where recommended vendors from Yelp share their product. In the second phase, we had a much bigger effort towards social areas. We’ve always wanted the “Town Hall”. It’s like the gymnasium in high school, a space that gets re-used for different purposes throughout the day. So, the Town Hall area at Yelp is being used from 7 in the morning to 12 at night. It’s in the middle of the building, between the floors. 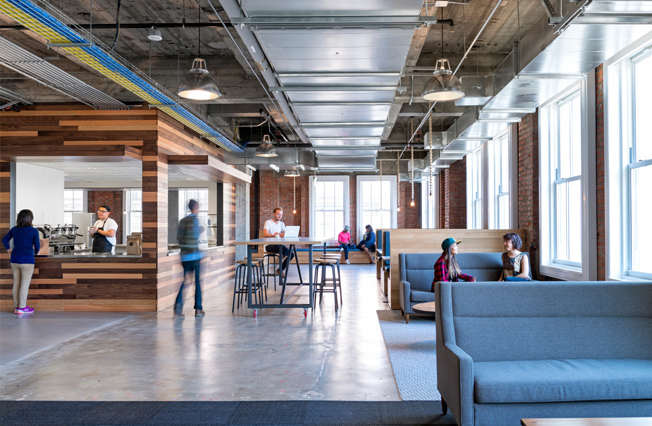 Yelp is a vertical campus, it was placed as a central communal area and its use has been incredibly successful, more than we’d even hoped. It’s part of the process, it’s an immediate consideration but we try not to do it too early though as we don’t want to pin ourselves down to an aesthetic. We want to make sure that all of the spaces are curated, not specified but curated. Sometimes you’ll see a space that has been specified and it’s as if a clone stamp has been used to replicated a certain line of furniture. Curation is the opposite to that, it is exactly what it means, a space that has been thought out and designed. 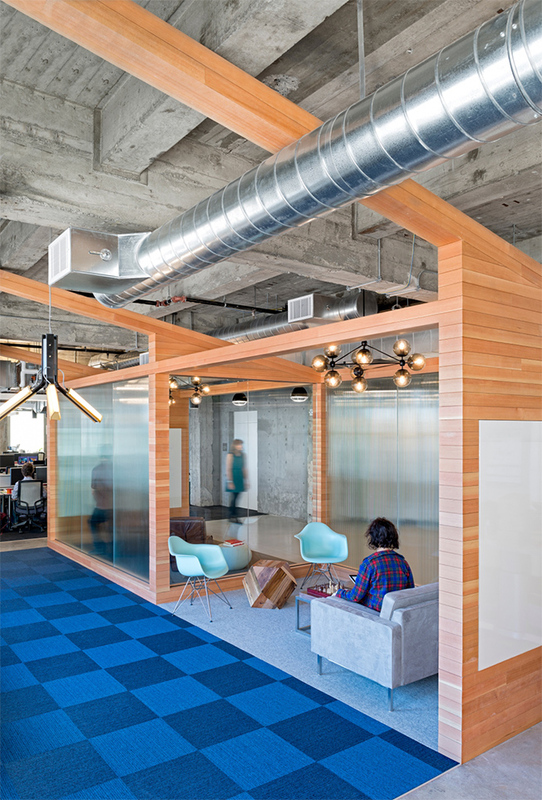 As a design firm you need to own that piece of the project. We’re in a great area here, a lot of early adopters who want to make a change. I kind of realized many years back that there was going to be a pivot in the workplace culture. We didn’t even see any cubicles at Neocon this year, benching has been highly adopted into the West. I think we’re seeing an understanding that you need to flatten these established organizations. We try to engineer serendipity, we want to delight. 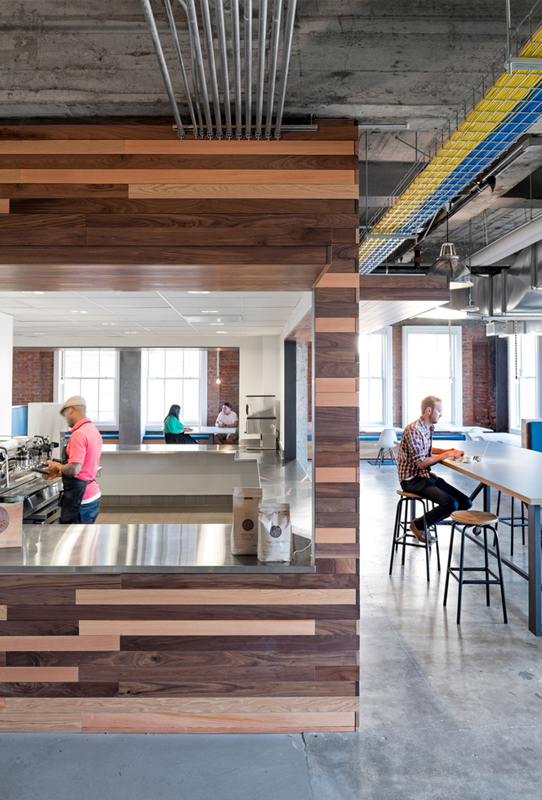 The Bay Area is a proving ground for new ways of working and new ways of creating the workplace, we’re trying to change people’s quality of life.